Located near the Tamarack Center. Guest rooms offer free wired and wirelesshigh-speed Internet access, in-room coffee, hair dryers, iron and boards,large work desks, two-line phones with voice mail. Select rooms withmicro-fridges are available. Enjoy our seasonal outdoor heated pool andfitness center. Morgan&apos;s Food and Spirits is open for your food andbeverage needs. Free full breakfast buffet: 6:00 AM - 10:00 AM. Appetizers5:00 PM - 10:00 PM. 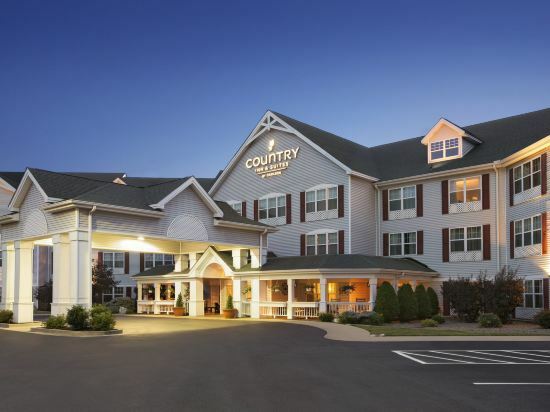 The Comfort Inn offers free Wi-Fi in all guestrooms and public areas. Thehotel also offers free deluxe continental breakfast and business center. Weare 10 minutes to Releigh County Convention Center, five minutes toTamarack, and 15 minutes to Winterplace Ski Resort. Guests will also enjoya complimentary Daily Pass to the nearby YMCA of Southern West Virginia. 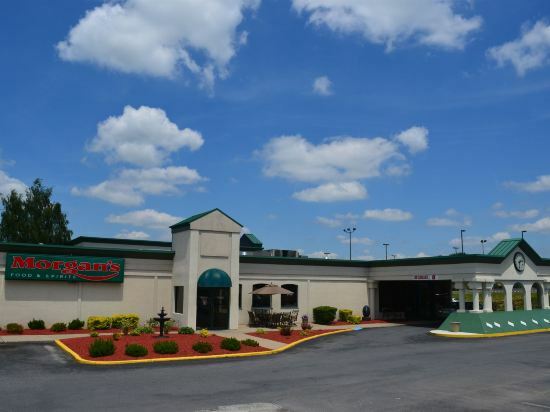 Baymont Inn & Suites Beckley offers accommodation in Beckley. Guests can enjoy the on-site bar. Every room is fitted with a TV. You will find a coffee machine in the room. Every room comes with a private bathroom. The hotel features free WiFi. You will find shops at the property. Yeager Airport is 72 km away. 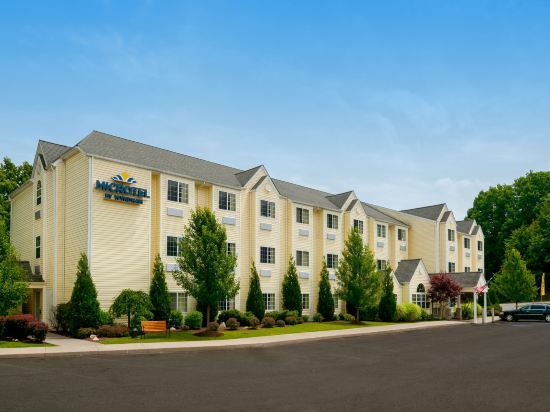 Featuring free WiFi, Microtel Inn by Wyndham Beckley offers accommodation in Beckley, 49 km from Princeton. Every room includes a TV with cable channels. All rooms come with a private bathroom fitted with a bath. There is a 24-hour front desk at the property. The nearest airport is Yeager Airport, 72 km from Microtel Inn by Wyndham Beckley. A full deluxe hot breakfast and heated indoor and outdoor pools are featured in this hotel. It is adjacent to the Mountaineer Conference Center, which offers over 3,000 feet of meeting space. A flat-screen TV with cable and premium film channels is featured in each guest room at Country Inn & Suites. A microwave, refrigerator, and coffee machine are provided. Free Wi-Fi is available throughout the property, and guests can access computers and printers in the on-site business centre. The fitness centre provides exercise equipment at Country Inn & Suites Beckley. New River Gorge is 20 miles from the hotel. Tamarack Artisans Crafts Center is within 10 minutes’ drive. Our Beckley WV Hotel Welcomes you to a WV Vacation Paradise Discover the wild beauty and storied history of southern West Virginia when you stay at the smoke free Holiday Inn & Suites in Beckley WV . 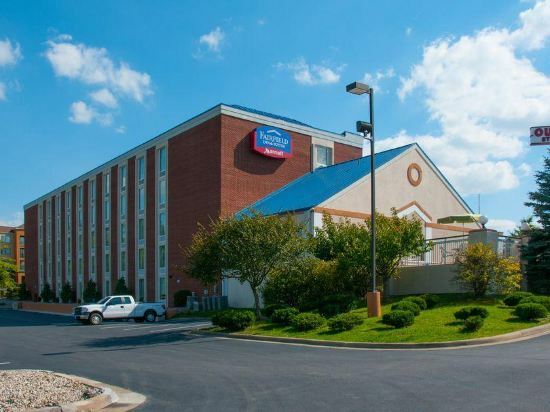 Ideally located off I-77 our Beckley hotel is close to the area's major attractions and businesses. Families enjoy our location because it provides easy access for their WV vacation. The Exhibition Coal Mine and Coal Heritage Trail are both nearby and offer a glimpse of West Virginia's coal mining past. The Tamarack is just a mile from our hotel. West Virginia also boasts the best world-class white-water rafting in the eastern US. After a day on New River's Class III-V rapids you'll be thankful for a Beckley hotel with a hot tub. Our indoor pool features an ADA-accessible lift; just another one of our Beckley hotel's thoughtful amenities. 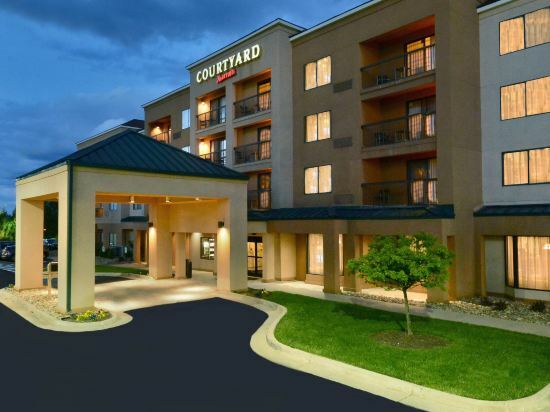 Business guests know that lodging in our Beckley hotel means convenient access to the adjacent Mountaineer Conference Center as well as the I.R.S. and Federal Court. Free high-speed Internet access and a business center make it easy to do business while on the road. We also offer 1150 sq. ft. of meeting space with conference and catering services. 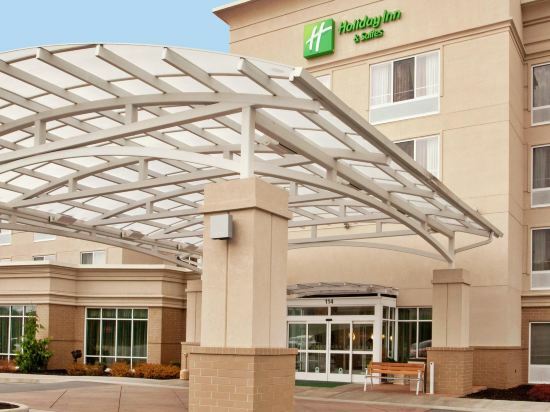 When you're looking for lodging in Beckley, think of Holiday Inn. As a family friendly hotel we feature a full-service restaurant where kids under 12 eat for free. Book your reservations for a WV vacation. Relax it's Holiday Inn. The pet-friendly Econo Lodge in the heart of the Appalachian Mountains isconveniently located off of Interstates 64 and 77. Great recreationalopportunities abound with nearby golf courses, Winterplace Ski Resort,whitewater rafting, mountain biking, horseback riding, fishing and so muchmore. Tamarack Shopping, featuring arts and crafts with fabulous food, isnearby. The Exhibition Coal Camp Museum, the Southern W.V. Youth Museum,Mountain Homestead, Cliffside Amphitheatre, New River Gorge National Parkand famous New River Gorge Bridge are all exciting entertainment options.We have both interior and exterior corridors as well as smoking andnon-smoking rooms. 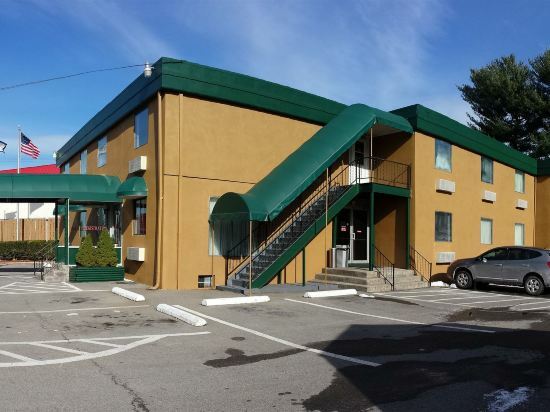 Hotel amenities include free continental breakfast, freeWiFi, free parking, cable television with HBO, an exercise room and guestlaundry facilities. Pets stay free. 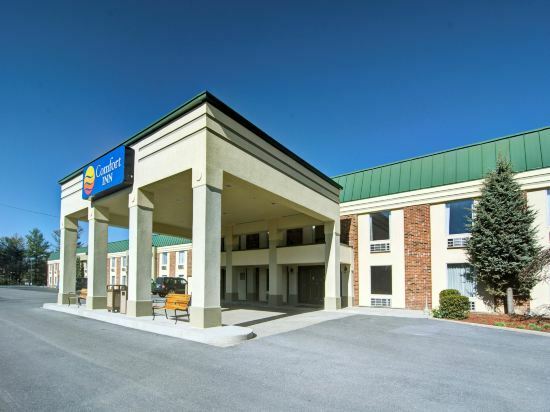 This Beckley, West Virginia hotel is a 10-minute drive from the Raleigh County Memorial Airport. The hotel offers a continental breakfast, indoor pool and rooms with a 27-inch flat-screen TV. Beckley East Microtel Inn provides a coffee maker, ironing facilities and free Wi-Fi in every room. All rooms have a window seat and select rooms have a microwave and refrigerator. Microtel Inn and Suites Beckley East has an on-site gym and business center. Laundry facilities are available and the front desk is open 24 hours. Peppers Restaurant is adjacent to the property. 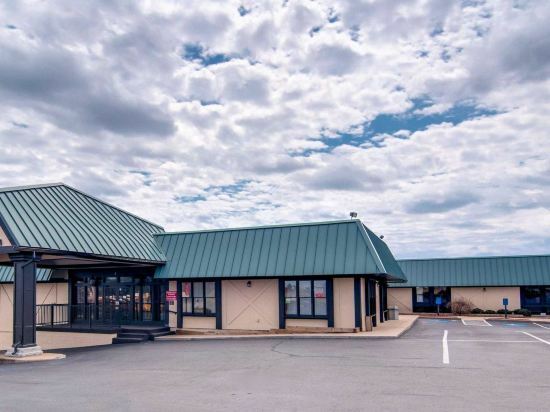 The Beckley-Raliegh County Convention Center and Civic Arena and Mountain State University are both within a 5-minute drive from this East Beckley Microtel Inn. New River Gorge National River Park is 15 minutes away. 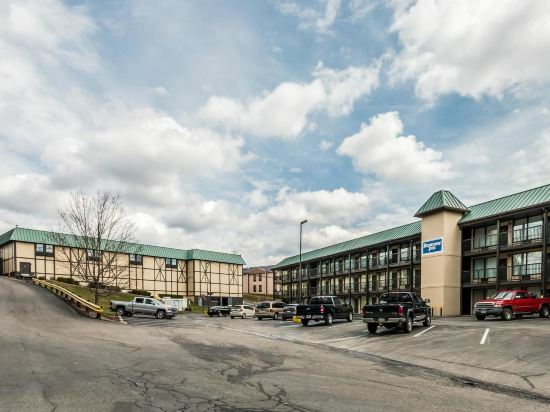 Located directly off Interstate 77, this hotel is surrounded by the Appalachian Mountains and features free Wi-Fi and a hot tub. Winterplace Ski Resort is 16 miles away. 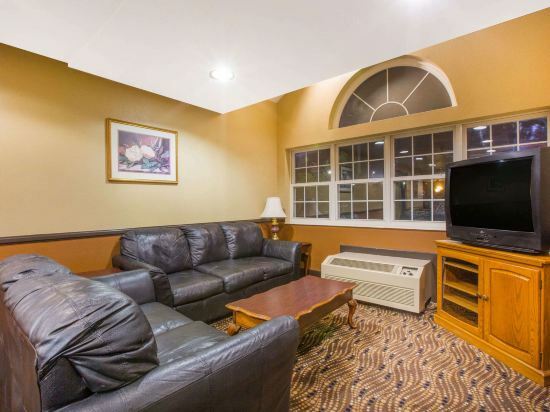 Every room at Travelodge Beckley boasts cable TV with HBO channels. They are decorated in rich colours and dark wood furnishings. Coffee making facilities are provided. A daily continental breakfast, including bagels, baked goods, and fruit is served in the lobby. Guests can copy and fax services and access email from the computer. Newspapers are available at the 24-hour front desk. Exhibition Coal Mine is 5 minutes’ drive from the Beckley Travelodge . Daniel Vineyards is 6 miles away. 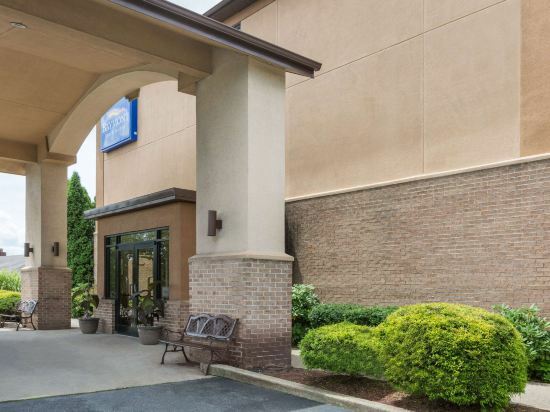 Travel with confidence by checking into the Fairfield Inn & Suites by Marriott Beckley, a Beckley hotel with outstanding service to make all of your travels easy and comfortable - at an exceptional value. With a great location near the beautiful New River Gorge, we're always ready to welcome you with amenities like thoughtfully designed guest rooms and suites that allow you to work and relax, free Wi-Fi throughout the hotel to stay connected during your stay, and fitness facilities that include an outdoor seasonal pool and exercise room. Pets are welcome with a fee in our designated pet rooms. You'll find it easy to settle into our vibrant lobby, with spaces to gather, relax and work. Jump-start your day with a free breakfast, now with more hot choices like scrambled eggs, sausage, oatmeal, fresh fruit and yogurt. At the Fairfield Inn & Suites Beckley, you're our #1 priority. We promise you'll be satisfied or we'll make it right. That's our commitment to you. Ask us about the Fairfield 100% Guarantee. 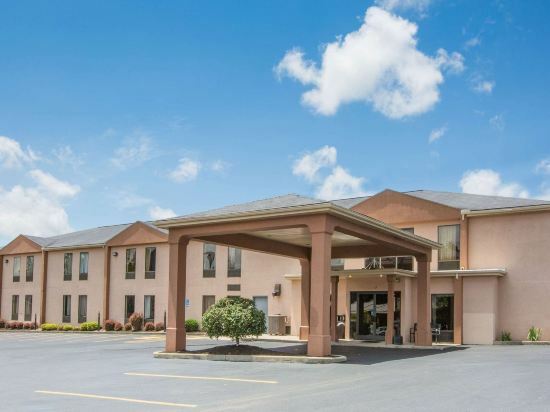 Located close to Interstate 77 and Interstate 64, this Beckley hotel offers a 24-hour front desk and rooms equipped with microwave and refrigerator. Winterplace Ski Resort and Lakeview Golf Course are 20 minutes’ drive away. 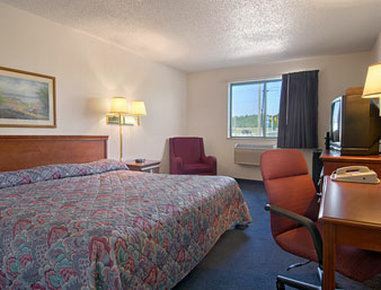 A work desk along with an arm chair is featured in each simply furnished room at Super 8 Beckley. An en suite bathroom is also included. Continental breakfast is served each morning and it features hot coffee or tea along with fresh fruit and pastries. Vending machines that offer drinks and snacks are also provided. Tamarack Arts and Crafts Center is 5 miles away from the Beckley Super 8. New River George National Park is 15 minutes’ drive away. If you want to stay in the best hotel in Beckley, United States, please come to Trip.com for a custom trip. Staying in exclusive Beckley Beckley Green Cab hotel Trip.com offers, you can fully relax and enjoy the stay in Beckley and around Beckley. All these Beckley Beckley Green Cab hotels lead in the industry in aspects of environment and recreation facilities, providing the best hotel service in Beckley. To ensure that you can find the latest Beckley Green Cab hotel in Beckley, the latest hotel price as well as hotel facilities and indoor facilities information will be offered. In the meantime, detailed photos of Beckley Beckley Green Cab hotel will be displayed, making you know quickly whether hotel’s interior environment meets your taste. Besides, you can know specific location and reviews on Beckley Beckley Green Cab hotel from millions of users. If you want a nice room with limited budget, please filter through price and distance to get an appropriate Beckley Beckley Green Cab hotel. To ensure you can experience the best Beckley Beckley Green Cab hotel, users and we give a comprehensive rating on hotel, which gives useful help. Believe it or not, as the biggest online travel service company, we have the best service assurance and perfect users’ experience to meet your requirements in different aspects, no matter it’s Beckley hotel or Beckley Beckley Green Cab hotel. Beckley hotel information & deal: Check out room rates, photos, a map and reviews of hotels in Beckley and find the best deals on Beckley hotels. Trip.com offers big savings on online reservations for Beckley accommodation. Book Beckley vacation packages and Beckley tours with huge discounts on Trip.com!